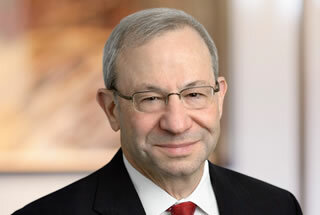 Jonathan Samel chairs the Business and Estates Department of Hamburg, Rubin, Mullin, Maxwell & Lupin. For more than 35 years, he has successfully combined his practical experience in business law and estate planning with a detailed technical knowledge of tax law to assist clients around the Delaware Valley. His practice focuses on structuring and implementing business transactions and tax planning for private businesses and individuals. His work includes assisting clients with all legal and tax aspects of the formation and operation of various business entities. He also has helped many dozens of family businesses with succession and exit planning. Jon regularly negotiates and structures business purchases and sales, including asset sales, stock sales, corporate reorganizations, and other similar arrangements. He also has substantial experience in drafting wills, trusts and other agreements which are designed to preserve wealth and minimize taxes. Jon was selected as a 2016 Top Attorney by Philadelphia Life Magazine for Estate Planning & Administration and Business Law. He is a member and past chairman of the Corporation, Banking and Business Law Committee of the Montgomery Bar Association. He is also a member of the Probate, Estates and Trusts Committee of the Pennsylvania Bar Association, and of the Montgomery County Estate Planning Council. He serves on the Advisory Board of the Delaware Valley Family Business Center . Jon received his undergraduate degree from the University of Rochester (B.A. 1974), and his law and Master’s degree in Tax Law from Temple University (J.D. 1978, LL.M. 1990). Works with son’s not-for-profit corporation that educates people on fire prevention and emergency preparedness as they relate to the disabled community. Enjoys reading about U. S. history, and is an avid baseball and football fan. Represented a client through the sale of his family business. This multimillion dollar transaction involved a sale of business assets, a real-estate sale, seller financing, a consulting arrangement, non-competitive covenants, and the resolution of a number of significant financial, tax and environmental issues. Assisted a large real-estate developer with negotiating, structuring and then closing the buyout of his partner through the purchase of stock and partnership interests. Represented a couple who owned a large real-estate investment business and who decided to pass this business on to their two sons, who presently work with them. Jon devised and put in place an innovative plan which combined the use of family limited partnerships with trusts and wills. The plan has put the family in a position where it can save in excess of $3 million of taxes. Coordinated the transfer of a substantial family manufacturing business from three second-generation owners to six third-generation owners. This transfer involved a stock sale, two real-estate transfers, consulting agreements, financing arrangements, a new buy-sell agreement, life-insurance trusts and the updating of each owner’s personal estate plan. Represented an elderly widow who had recently developed health problems and who was worried that she would lose her home and her other property if she had to move to a long-term care facility. Jon assisted her and her children in putting a plan in place designed to preserve her assets and at the same time giving her assurance that she would continue to have full control of and access to the assets. Counseled a family that owns and operates automobile dealerships and a real-estate development business. Jon structured and implemented a plan whereby substantial ownership interests in real estate were transferred from the older generation to the younger generation on a tax-free basis, using a combination of gifts and sales to various trusts. Represented a family who, owning 100 acres of valuable farmland, decided to grant a conservation easement to the Commonwealth of Pennsylvania on most of the property. It was projected that the family would face almost $400,000 of capital-gain tax as a result of granting this easement. Jon was able to significantly reduce this tax by structuring the transaction so that the family members obtained significant charitable income-tax deductions and acquired two new properties through tax-deferred exchanges.